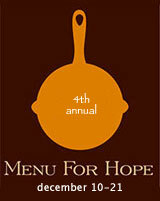 Just Hungry is happy to announce that once again, we're donating a prize for Menu For Hope, now in its 4th year. Menu for Hope is an annual charity event contributed to by food bloggers around the world. It was instigated by Pim of Chez Pim, and this year's regional European host is Fanny of foodbeam. Menu For Hope IV will benefit the United Nations World Food Programme; this year's donations have been earmarked for the school lunch programme in Lesotho, Africa. The code for the Just Hungry prize is EU13. Note that down! And that's not all! This prize will be personally selected. The winner will be able to let us know in advance if they have any dietary or taste restrictions, such as nut allergies, a dislike for white chocolate, etc., within reason. The approximate monetary value of this prize package is US $250. 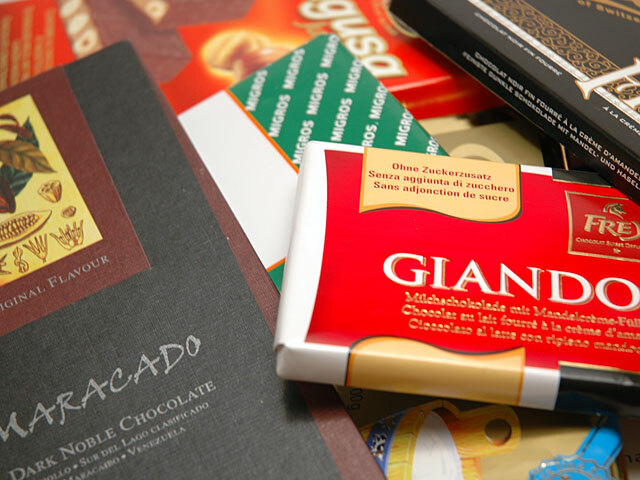 The photo shows just a small representative selection of chocolates that you might get. Shipping will be prepaid, and the box will be sent as a gift. In most cases you should not have to pay any duties - or if so they will be minimal. We've sent many similar packages to various countries around the world and have never had problems. In the event that there are any duties, they will be the responsibility of the recipient. Special note for U.S. residents: Due to the uncertainties of what customs or Homeland Security's policies du jour are, we would prefer to ship the prize to you in the first quarter of 2008 when one of us will be going to the U.S., unless you specify otherwise. Go to the donation page at http://www.firstgiving.com/menuforhope4. Make a donation! Each $10 will give you one raffle ticket toward a prize of your choice. 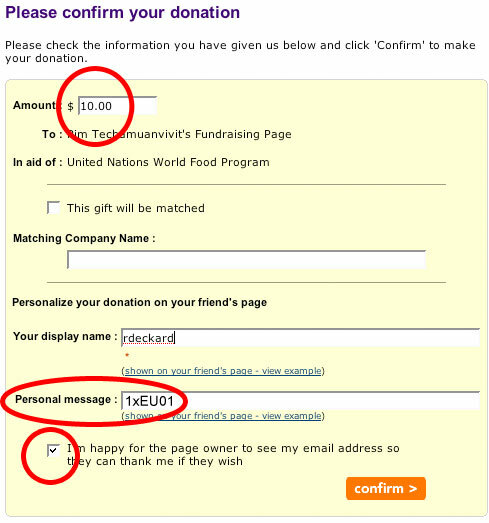 Please specify which prize you'd like in the 'Personal Message' section in the donation form when confirming your donation. The prize code for the Just Hungry package is EU13. Please specify which prize or prizes you'd like in the 'Personal Message' section in the donation form when confirming your donation. Specify how many tickets per prize, and please use the prize code - for example, a donation of $50 can be 2 tickets for EU13 and 3 for EU14. Be sure to check the "I am happy for the page owner to see my email address ..." box at the bottom! This will allow the organizers to contact winners. The deadline for donating is December 21. Check back on Chez Pim on January 9 when the result of the raffle will be announced. Last year, Menu For Hope raised an amazing $62,925. I hope you will take the time this year to donate to a very worthy cause, with a chance to indulge yourself with Swiss chocolate for the whole year! 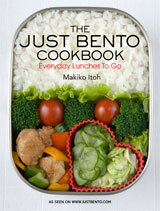 And, if 2008 will perchance be a year of abstinence and healthy eating for you, perhaps you'll be interested in the bento-supplies-galore package being offered by Just Bento....or donate for both! You can also check out the list of great prizes offered by Europe-based food bloggers, or complete worldwide list. Submitted by maki on 2007-12-10 03:03.